The Studio Glass Movement from the United States burst in on my work – my isolation – in the mid 1960s. I was astonished and thrilled by the freedom with which glass was handled there. An immense curiosity about the unused potential and the broad possibilities of the new material for art: glass. It has to fit into the framework of art in general, though, for me, art is the deciding factor. The path I took shows that I intensely wanted to express my life in pictures, clarify things for myself. Of course I could have started in a quite different medium – painting, sculpture, film – but it became glass. For a long period if time now, I have seen my works in painting, stone, bronze, concrete, glass as equal in status. Sometimes I feel that my strongest works might be in paper, charcoal and pastels. I feel as a human being OUT of TIME. The notion of “Self”, and hence identity, grips me, disturbs me and motivates me. Everything comes from that. My interest in the “Self” includes the Others. It is clear that in the way that one carries out one’s work, something like a “Self” expresses itself. And this “Self” is guided by constantly developing inner insights. The insights can be very unclear but can still be the instpiration behind a work. I am testing out old questions of identity; be it inside-outside, symmetry, layers and core, number two and the double, the goat and the monkey. Moments of recognition are what my work needs, they propel me forward. Collected moments of clarity become knowledge. I think that’s good. As one of the founders of the international Studio Glass Movement, Ann Wolff was at the center of attention as early as end of the 1960s. In her 50-year career, the sculptor has repeatedly created works that make people think. Especially because glass on the one hand is transparent, yet is a solid material. The translucency intensifies the sensual perception. There is no other material that will allow you to look at it and at the same time through it. The artist has dealt with glass all her life. With glass, she has allowed the world a glance at her esthetic sentimentality, and she has created homogenous objects. Ever recurring themes predominant in her works are womanhood and habitation. Her objects are mostly monochrome, often kept in warm earthy tones. They radiate calmness and strength. Ann Wolff wanted more than shaped surfaces; she processed the material in several different aggregate phases, shaped it, casted it, painted it. Sometimes abstract objects emerged, sometimes figures that tell stories. What makes me strong? When does something become art? All these questions keep Ann Wolff moving. To her, movement and dance are important. In dance-theater, she was allowed to experience rehearsals with Pina Bausch, made views from it and then formed glass objects. Ann Wolff was born in Lübeck, Germany in 1937, studied at the Hochschule für Gestaltung (University for design and art) in Ulm, Germany, then she worked as a designer in Sweden. 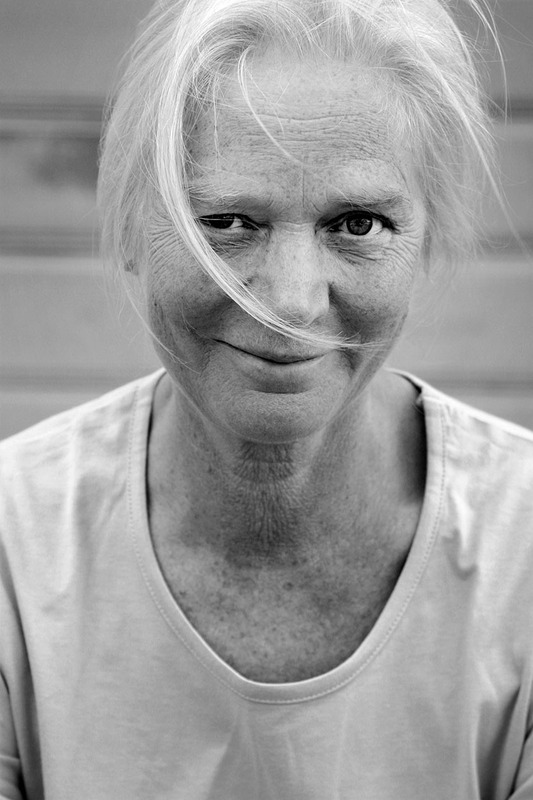 Between 1993 and 1998, Ann Wolff worked as a professor at the Hochschule für Bildende Künste (University of arts) in Hamburg. Today, she works as a freelance artist in Sweden and Berlin. The Swedish Royal family has acquired several of her works. She has been awarded numerous international awards, among them the renowned Coburger Glaspreis (1977), the Bayerischen Staatspreis (1988), the Jurypreis of the Toledo Museum of Art (2005), and the Award of Excellence of the Smithsonian Renwick Collection, Washington, USA (2008). Her works have been repeatedly exhibited in several solo exhibitions worldwide.